Long time sport bike, sport/ADV touring rider, recently converted the realm of the cruisers. 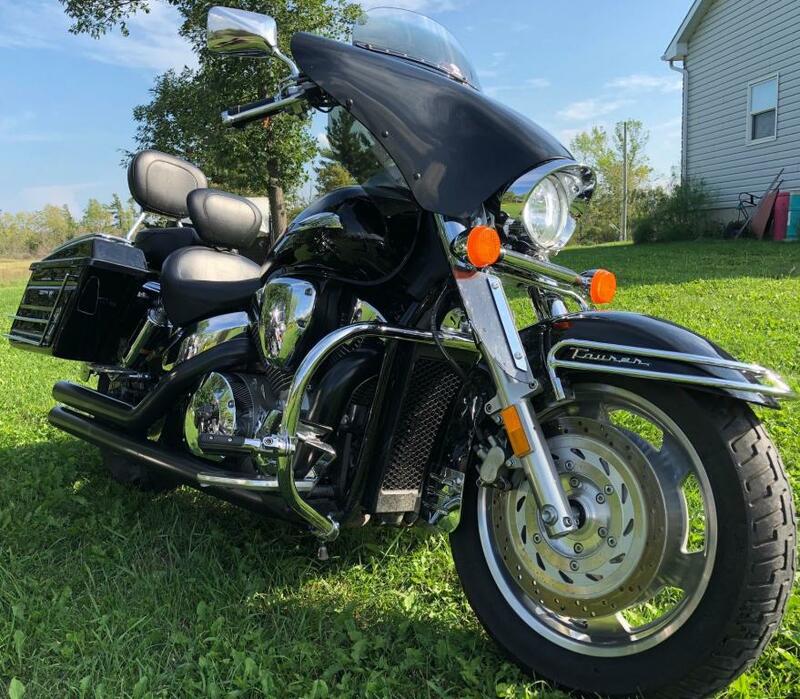 Did some reading and decided a "muscle" cruiser was what I wanted, went to look at Harey Davidson, and realized they just didn't have what I was looking for, even in older V-Rods. 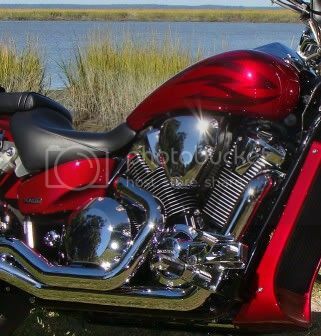 Started thinking about a Suzuki Boulevard M109R, when I stumbled onto the VTX and it was love at first sight. Spent weeks "starring" or "favoriting" for sale posts on Craigslist and on Facebook, even joined here to read more, because I had decided I would buy a VTX 1800 and continued looking for the perfect bike for me... Almost bought a "C" with 40k miles, when I decided to check with the used motorcycle dealer I bought my 2015 Kawasaki Versys 650 LT that I commute on daily. 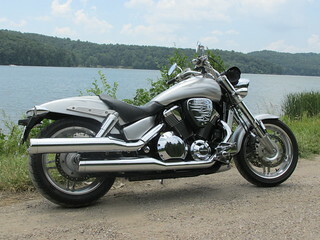 I couldn't believe they had my holy grail VTX for sale, a 2006 Tribal Silver "F" Spec 3. I have had it for 2 days now and have no regrets after several hundred miles. With 14k miles on it I am looking for a long relationship with my new bike, and have decided to commute on it for the next week or more, Manteca to San Francisco and back (156 miles daily). Been an absolute blast so far! Hardin 08 VTX1800F likes this. Welcome,, fellow "F" owner.. and Silver Tribal to boot..
got my 2005 New..86,000 miles currently. Feb 2005.. first week of production. CBR1000F, Hurricane. 12 years of ownership. you will be surprised what the "F" can due.. with a sport bike style of riding..
she can "Carve" a corner WELL... if you allow her. you are now a member of the "F" Troop. steveroy60 and Nonsequitur like this. Last edited by chuck_VTX F; 04-06-2019 at 06:25 AM. My Bro in law had a silver 2005 F, he had to get one after sitting on one at 2005 Honda Homecoming. chuck_VTX F and Nonsequitur like this. Thanks to all for the warm welcome! Looking forward to a long term relationship with my new-to-me VTX! You're going to F'n LOVE the F!!! !